Mr. Schwartz has more than 20 years of experience in the area of employee benefits law. He focuses his practice on multiemployer pension plans, employer withdrawal liability, and ERISA litigation. Mr. Schwartz represents a number of multiemployer trust funds, including the largest Taft-Hartley trust in the United States, and he counsels clients extensively in the areas of fiduciary responsibility and plan administration. 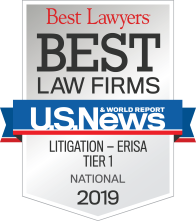 In addition, he serves as a court-appointed mediator in ERISA cases for the United States District Court for the Northern District of California and has litigated a wide variety of benefits and compensation-related cases in the federal and state. Mr. Schwartz presents and publishes on issues related to multiemployer pension plans as well as other ERISA and qualified plan topics. He has recently present on various aspects of ERISA litigation, benefit claims, QDROs and legal ethics. 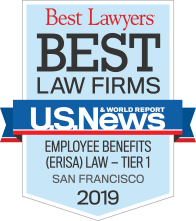 Mr. Schwartz has been listed as a Top Rated Employee Benefits Attorney in San Francisco, CA by Super Lawyers since 2009. He is the immediate past Chair of the Employee Benefits Committee of the American Bar Association’s Tort Trial & Insurance Practice Law Section, and is a member of the ABA’s Joint Committee on Employee Benefits.